Hue & Cry Press will publish its second book in October, an exciting debut collection of poems titled One Human in Height from Wellington writer Rachel O’Neill. One Human in Height follows the 2012 debut release for Hue & Cry Press, A Man Runs into a Woman by Sarah Jane Barnett, which was a finalist in the Poetry category of the 2013 New Zealand Post Book Awards. One Human in Height is a book of exuberant and at times irreverent prose poems that fuse remembered experience, family life, and relationships with broader human legacies, from popular culture, and social history, through to digital technology. The book includes a thief who plays a musical interlude on an oboe before getting down to business, a botanical species, the Kafka Diver, that lures in guests for an unusual holiday on the sub-alpine platform, a talent show called Wicked Witch Idol, and a parachutist who free-falls to her family reunion. “We all sift through the drift of inheritance to find what is magnetic, useful and active. I wanted the poems to do the same – to lend freshness to our habits of looking and thinking,” said O’Neill. Hue & Cry Press was born as an extension of the acclaimed art and literary journal, Hue & Cry. The Press continues to successfully fund its books through the crowd funding website, PledgeMe, with O’Neill’s collection more than doubling its donation target. Rachel O’Neill’s writing has appeared in a range of publications, including Best New Zealand Poems 2011, Paper Radio, Hue & Cry, Turbine, JAAM, and Brief. She was a short story finalist in the inaugural The Long and the Short of It competition run by Sport and Unity Books. 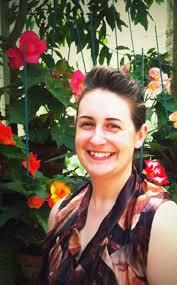 She completed a Masters in Creative Writing at the International Institute of Modern Letters in 2008. One Human in Height will be launched Friday 11 October, 5.30PM, at City Gallery Wellington. This book is available in bookstores now and is a finalist in the Poetry category of the New Zealand Post Book Awards. begins Ian Wedde’s poetry collection The Lifeguard. And he begins with a cycle of poems about said, albeit symbolic, lifeguard, sitting up on the towering chair overlooking New Zealand’s coastlines – past, present and future – while dipping his feet in Greek mythology. You can almost smell the coast in these poems. The two parts that follow – ‘Help!’ and ‘The look’ – still see the poet observing from a more or less stationary position, exploring the fragrant and the sensual. Wedde weaves his grandchildren into his poetry, creating a common memory. Next is a group of elegies on the Palestinian poet Mahmoud Darwish, who died in 2008. Wedde spent some time travelling in the Middle East in the 1960s. From these travels he is said to have taken his inspiration to become a poet. In the last section the poet is on the move, in circular motion. In ‘Shadow Stands Up’ we accompany the poet on a tour around Auckland, mainly on the link bus; memories springing from roadside detail. I cannot help but wonder how long the man spent on that bus. Did he observe all this in one loop? Can you still go round and round for one fare these days? Daydreaming on the bus, one of my favourite pastimes as well. A 40 years younger Ian Wedde once said in a contributor’s note for the anthology Young New Zealand Poets: ‘I think I seldom tell; I enquire’. Observation and enquiry. To me this sums up the genre of poetry. Maybe add distillation. Five years worth of poetry distilled into the fine essence that is The Lifeguard. Thus concluding a journey from the abstract to the specific, wisdom embedded in detail, the minutiae in the majestic mudflats of Aotearoa. 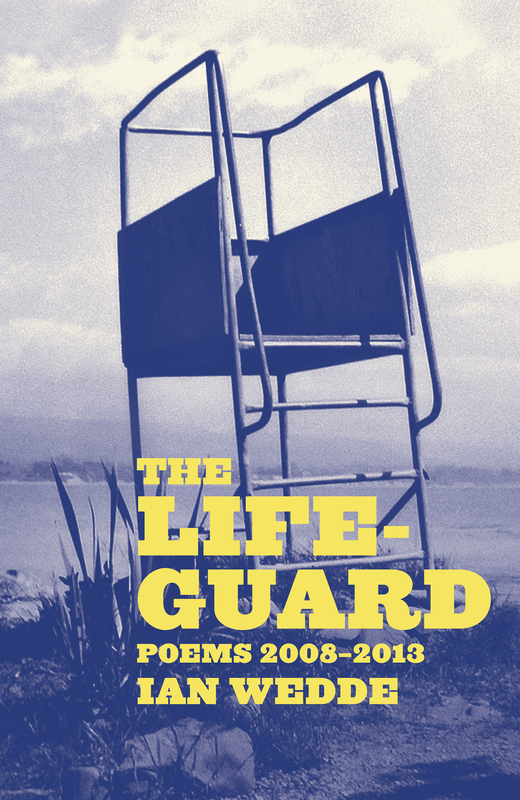 The publication of The Lifeguard marks the conclusion of Ian Wedde’s two-year tenure as New Zealand’s poet laureate. The poet dedicates the collection to his grandchildren. Elizabeth Smither’s latest collection is a kind of tea cosy over my winter reading, with a gentle, pretty exterior containing something much more robust and satisfying within. Broadly, it comprises a series of vignettes, sometimes detailing the minutiae of domestic life, sometimes chronicling the orchestra, the streets, births, deaths, and marriages. There are a lot of gardens. Particularly endearing is Smither’s observation of the flaws inherent in everyday life, casting them as precious things. So the chipped Limoges plate becomes “the beautiful damaged thing, adored” and the third-rate roses “corkscrew swirls” which speak as though straight from Alice in Wonderland. This love for the disguised and disused later develops into a dark comic tone with poems such as ‘Credo’, featuring a woman who impales herself on a fence to dislodge a piece of food. The lush imagery and clever use of language make it clear why Smither is such a lauded author. She makes words work so specifically –here painting the precise topography of a garment—yet at the same time has them cast us away across generations. The narrative darts effortlessly between past and present, reminding me of how my grandparents’ generation often recollects events, mingling tenses together. By magnifying a given moment and sense of feeling within it, decades are rendered irrelevant. In ‘Dying’, for example, the speaker notices Jean’s “magenta toenails still dialed to gaiety and travel” –it’s a dramatic flashback which perhaps functions as a way of mitigating the present loss. Beautifully produced by Auckland University Press, The Blue Coat is perfect for mothers, grandmothers, and anyone with an interest in contemporary New Zealand poetry, a genre which is frankly, blooming. The Baker’s Thumbprint is Paula Green’s sixth collection of poetry for adults. While Green is well known and respected for her poetry, she has also published books for children, and last year edited the best seller, Dear Heart: 150 New Zealand Love Poems (Random, 2012). The Baker’s Thumbprint is Green’s first book to be published by Wellington boutique publisher, Seraph Press. Green’s writing is interesting and challenging because, in part, each collection tries something different. The voice of this collection has a light touch, and is full of play and whimsy. At the Wellington launch of the book, Green said she writes from love, and the idea can be seen in the poems’ many descriptions of making and sharing food, and the people she celebrates and admires. While Green’s last book was about her battle with breast cancer, this collection feels more personal; there is less distance between the poet and the reader. One poem states, “A poem should not be mean,” and none of these are; they document what the poet loves. What you’ll notice immediately when reading The Baker’s Thumbprint is that historical figures pop in and out the poems. The poet picnics with Gertrude Stein, has sandwiches with Florence Nightingale, and cooks with Copernicus. In later poems she travels to New York with Copernicus and Simone de Beauvoir. While such poems could easily go wrong, Green balances the ‘big names’ by placing them in every-day domestic scenes (the idea of domestic routines and relationships being a common theme for Green). The appearance of Plato at Sunday lunch seems natural and unremarkable. Would he like a cup of tea? Of course! These ‘historical figure’ poems are addictive to read, and certainly take advantage of my desire for wish-fulfillment. I also want to hang out with Plato and Jane Austen. But, on reading, it also becomes clear that Green wants to show how people and places become part our imaginative lives. Other poems in the collection (for example, those about Green’s childhood) also suggest what I believe is the central idea of the book: the power of imagination. While the book travels to different locations (New York, ancient Athens, and Rome), it also places itself firmly in New Zealand. In one poem we find ourselves at a “New World supermarket,” and another in Auckland in the 1970s. The poems also mention New Zealand writers such as Baxter, Bornholdt, Frame, and Sargeson. In this way, the collection has great reach, and shows that poets can write both locally and globally (and that it doesn’t have to be one or the other). The grass that needs cutting fades. The water tank half empty fades. The television channels on replay fade. The cold beer on the tongue fades. The mosquitoes that buzz in the night fade. The many themes and locations of the collection made me, as a reader, feel less guided than with previous books. I also felt a handful of poems, such as those at the beginning of section three on early New Zealand life, and war, felt like they belonged to another collection, as did the poem on learning Te Reo. The book’s title – The Baker’s Thumbprint – suggests the impressions we leave behind; the idea of artistry and mark making. This is certainly a beautiful and genuine collection. Maybe these poems are Green’s way of showing where her artistry comes from, both in terms of her physical home, but also the home of her imagination. 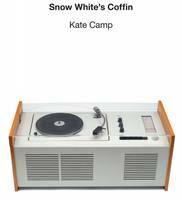 Snow White’s Coffin is the latest collection from one of New Zealand’s best known poets, Kate Camp. Camp has published four previous collections of poetry, and this latest book was written in Berlin while she held the Creative New Zealand Berlin residency. The book is sectioned into two parts, with a short first section and an extended second section. The back cover gives no hint of the book’s contents, but a Rilke quote at the beginning suggests the collection deals with themes of inadequacy and uncertainty in the face of love and death. With only that and the title to inform me, I approached the book as though it was a modern retelling of Snow White. As you may have guessed, there are no Disney princesses in this collection, but the book certainly calls to mind the Grimm fairy tale, with axes falling, snow on the ground, poison, death, and avoidance of death. Camp’s writing style is conversational, while also being lyrical. I’ve always enjoyed the way her poems turn gothic and somewhat mysterious. In many poems I can’t say exactly what’s happening, but I know that I like it; I want to keep reading. While most poems don’t explicitly reference Berlin, they have a certain austere quality that makes me think of Eastern Europe (and made me wonder if the lacking cover design was meant to evoke a traditional German aesthetic). to produce the loudest man-made sound on the planet. and patterned with the places branches grew. My favourite poems were those that described how we live within things: beds, buildings, the atmosphere, our own ideas of ourselves; the stories we carry around about ourselves. These poems are aware of the world built by our own human hands, but also by our imaginations. In this sense, the title of the collection actually refers to a 1956 German radiogramme—an old fashioned piece of furniture that combines a radio and record player—that was known as “Snow White’s Coffin.” The radiogramme seems to symbolise how we record our lives, as well as the idea of the past and the future clashing together. For me, this idea of collision is the quiet social commentary at the centre of the collection. Maybe the collection is Camp’s version of a magic mirror? This is not a book than can be breezed through in an hour. It’s a stunning collection that sustains voice and pressure throughout, which is no small feat. It takes (and deserves) effort and concentration to read, but the beauty of the language and mystery in the poems make it more than worthwhile. This book is in bookshops from today. I don’t think that Fleur Adcock really needs introduction to most of the poetry reading public. As such I’m going to refrain from telling you much about her. Glass Wings, the most recent in a long line of collections, is a mixed bag for me. I’ll admit that I’m probably not the audience for this work and although in general it seemed a collection of eulogies and wills in poem form there were moments and poems that still grabbed me. The first section was the one I connected with the least. And this is most likely a failure on my part; other readers may enjoy it more. It is a collection of memories and eulogies. The parts I found most enjoyable were lines with more poetic than prosaic sounds ‘chocolate-box Chiddingstone’ and the more unusual images. Some of the lines about ageing and dying seemed particularly unkind to the subjects. These poems seem self conscious in their construction and in some places a little forced. Intimacy is explained through anecdotes where the reader doesn’t always have the understanding to get the jokes and connections. Often they feel like letters rather than poems, direct addresses that feel like the reader is eavesdropping or somehow interrupting. The next section is a series of ancestor poems where wills and inheritance are the central themes. These poems were generally more interesting to me with lots of excellent familial detail going back hundreds of years. The final poem in this section, ‘Intestate’, references the whole collection and I think is one of the finer poems there both for its voice, its abstraction and its clarity. The third section is brief and returns to the elegiac theme. This section deals with the author’s marriage to Alistair Te Ariki Campbell and the children they had together. Although brief this section is the one I enjoyed the most. The eulogy here is more successful, perhaps because it retains a feeling of intimacy that doesn’t have to be over-explained. The rest of the poems contain wonderful detail of another time. They include some lovely witty lines such as ‘Who says you can’t be ‘slightly pregnant’?’ at the end of ‘Port Charles’ and in ‘The Professor of Music’ a guest jokes that the couple may ‘be getting above ourselves?’ after the purchase of a fridge. The last two poems in this section return to the slightly more awkward territory trodden in the first section. The final section, the only one really addressing the title of the collection, contains an excellent poem about a dung beetle. There are other successful jokes and good moments here. However, when the author writes about her ‘not-to-be-written memoirs’ I was a little surprised. Many of these poems are memoir. In fact the whole book could be memoir in poem form. I wondered what prompted that line and attitude. If you’ve read and liked Fleur Adcock before I’m absolutely sure that you’ll find something to like, if not love, here. Even more curmudgeonly readers such as myself will probably find something worth dipping into. Adcock is after all an accomplished poet with a long history of awards and accolades. The James Brown quote on the back of Ashleigh Young’s debut poetry volume immediately brings to mind many things about her poetry that make it so compelling. Speaking of the poems he says: ‘Theirs is a world that is advancing toward us at the same time as it is backing away.’ Young’s way of dealing with the aching anxiety of the world and the experiences of those sensitive among us is the striking heart of her book. I’ve been a bit of an Ashleigh Young fan for a while and so it’s no surprise to me that her book is better than I was expecting. With a publishing record of a decade, I think there was a certain amount of expectation floating around the ether with regard to Magnificent Moon. I think the book exceeds expectations, mine at least. The poems I’m familiar with only seem better tucked in beside unfamiliar ones and they all reverberate at a pleasant frequency together. The tender way the poems pull apart the delicate net of family life shows honesty and care at the same time for the people that populate the early poems. The book opens with ‘Russell sprouts’ a short poem based on a childhood misunderstanding about her father. A practised hand makes the pun at the end a delight, if not wholly unexpected. From there the book seems to swell into itself. Each poem feels like a question to me. While some have answers others linger on after the book is no longer in my hand. 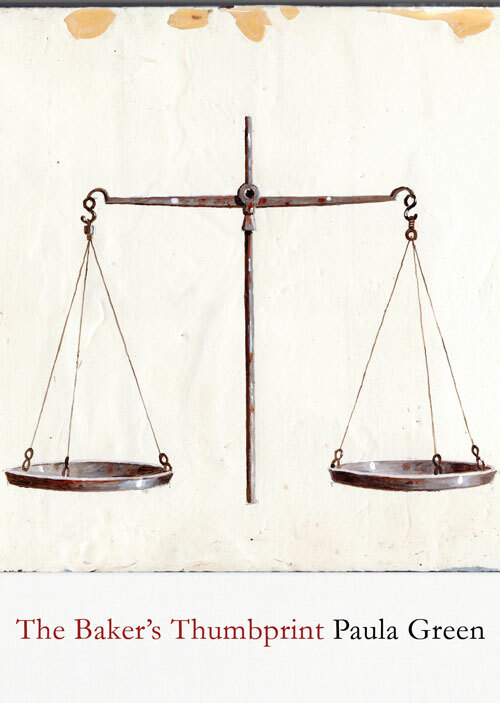 One of the poems ‘Interrogative villanelle’ is a list poem of questions, which cleverly captures the anxious rat wheel that is the pursuit of health and happiness. Many of the poems are also invitations to the reader to look around for small references to other poets and writers (Ezra Pound sneaks in and there are snatches of lyrics to be found too) or even other poems in the collection. Some of the best lines made me pause for a moment just to hold onto them a little longer. The end of ‘My hairdresser and my heart’ makes me want to sit in a totally white, silent room and contemplate it further. Overall it is a well balanced and excellent read. No doubt I’ll be dipping back into it over summer and quite likely for a long time after that.